I’m a big eyeshadow hoarder, especially MAC Eyeshadows. But, instead of buying the big palette to store them, I tend to buy single eyeshadow pans or quads, so I end up with a lot of little palettes and single pots cluttering my vanity. UNII (pronounced like ‘unique’ without the ‘QUE’) is a small cosmetics company with an earth-friendly policy, and they have come up with a perfect solution for your eyeshadow storage problems! 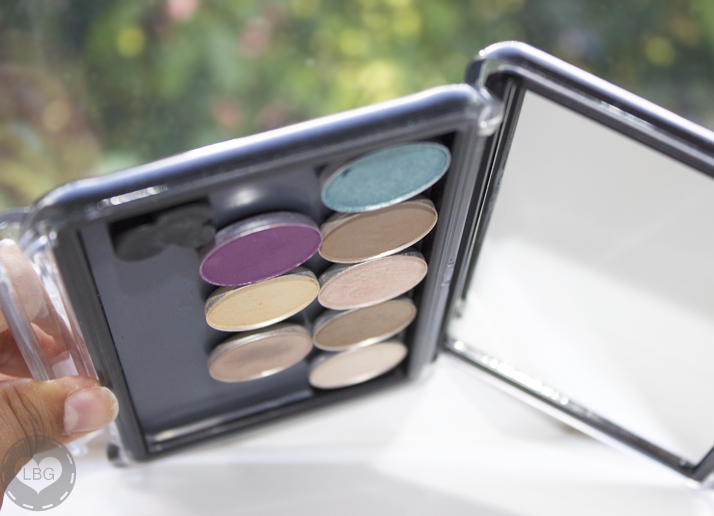 This is the UNII Palette, a magnetic case with a large mirror designed to combine all of your favourite eyeshadows in one palette. 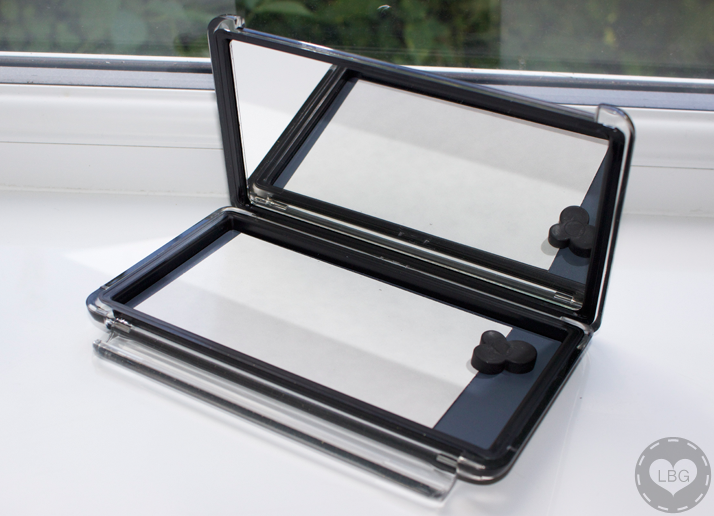 It can hold eyeshadow pans from the likes of MAC, Bobbi Brown, Stila, Laura Mercier, Makeup Forever and many others, as well as makeup products like blushes and bronzers. 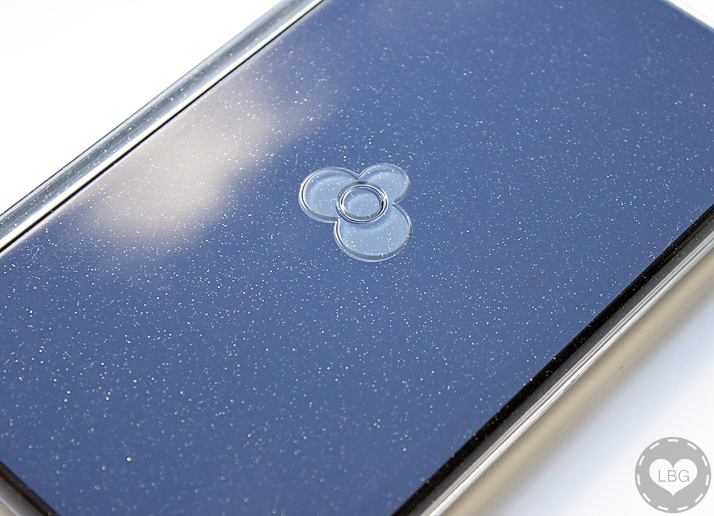 The case is made of a very sturdy acrylic material, which feels and looks incredibly durable, and it’s sealed with a tight rubbery grip to prevent leaks. It is also very pretty to look at, coming in lots of different colours (Honeysuckle, Turquoise, Pear, Lavender, Crystal and Midnight); I have the ‘Midnight’ colour, which has a glossy black finish and sparkly golden spots all over it. How gorgeous is that?! 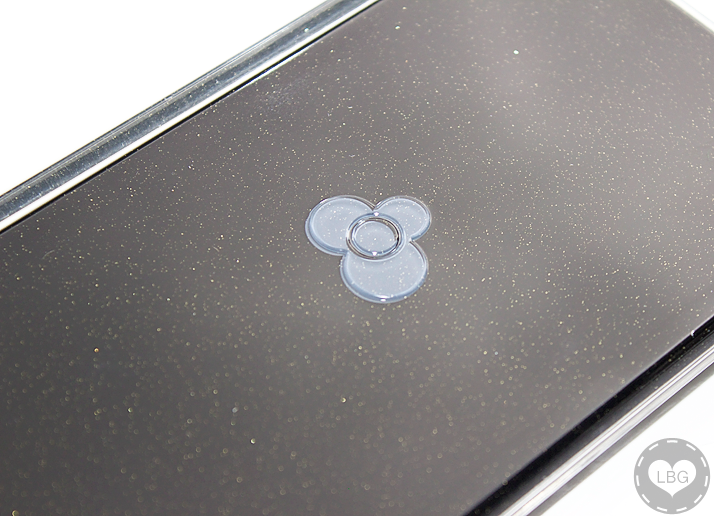 When you open the palette you see a white sheet and a little black rubbery thing that looks like a flower with 3 petals (UNII’s logo). 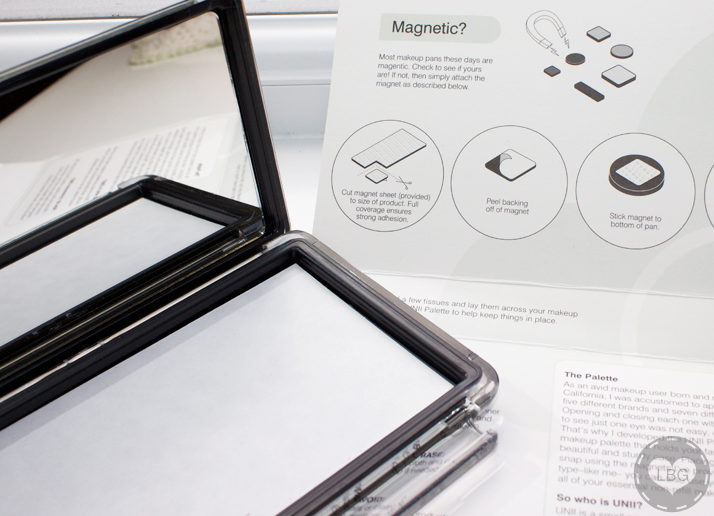 The white sheet is an adhesive magnetic sheet, which you can cut into smaller pieces and stick to the bottom of any eyeshadow pan you have to make it magnetic. 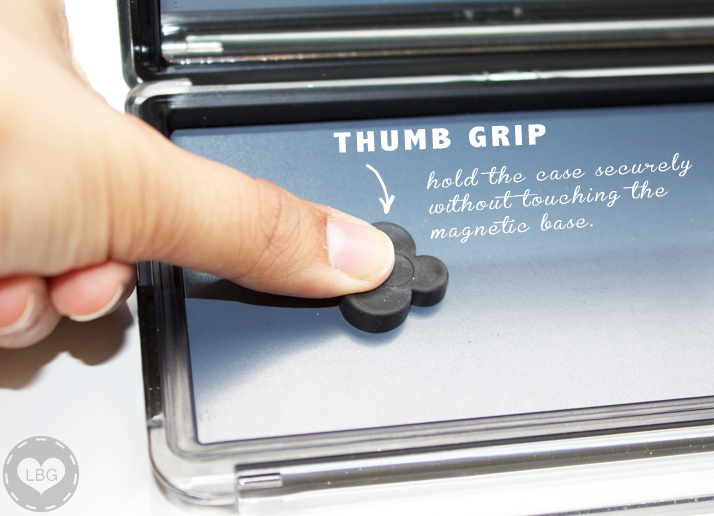 The rubbery flower is actually a thumb grip for you to hold the palette without touching the magnet or your eyeshadows. 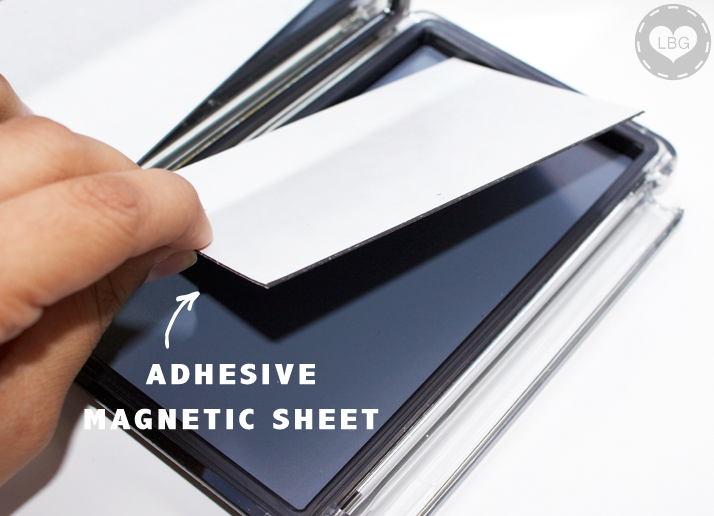 So start by removing the magnetic sheet, but leave the grip inside the palette; you can move it anywhere you like. 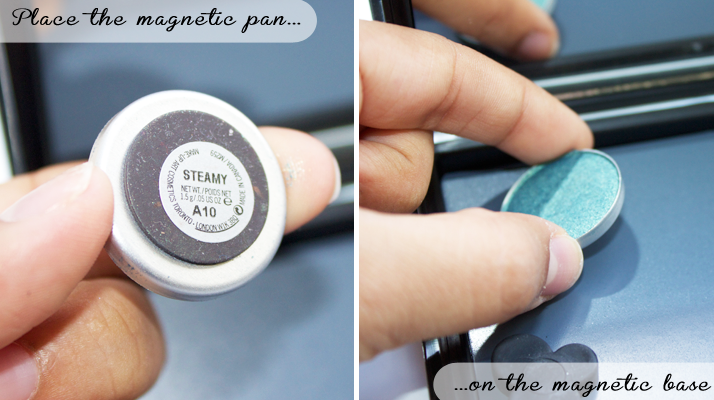 Next, place your eyeshadow pan anywhere on the magnetic base; if your eyeshadow pan is already magnetic just place it straight on the palette, if not, cut a small piece of the magnetic sheet, stick the adhesive side on the back of your eyeshadow pan and place it on the palette. I turned my UNII palette upside down and the eyeshadows didn’t move. It’s easy enough to move them around the palette, but they are quite secure and won’t fall out easily. 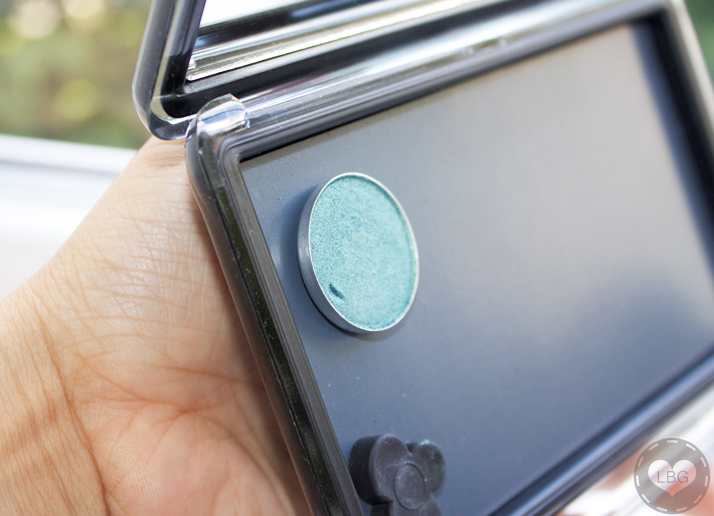 However, if you shake it a bit, the pans will move inside the palette, and that’s why UNII recommends folding a few tissues and laying them across your makeup before closing the UNII palette to help keep things in place, especially when travelling. I’m really impressed by the quality and ease to use of the UNII palette; I can see myself using this constantly to create a selection of my favourite eyeshadows, blushes and bronzers, and take it with me in my makeup bag without having to carry lots of different palettes. 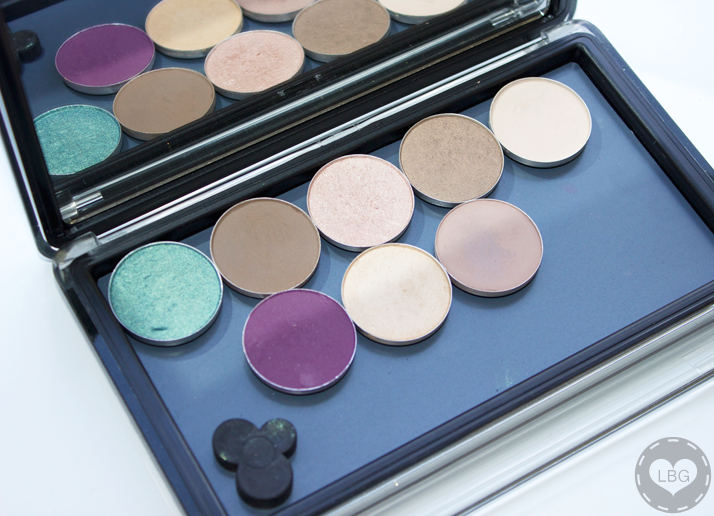 I’m working on a blog post featuring my UNII Palette filled with my favourite everyday products. I’ll be writing a summary describing everything that’s inside my palette, and to complete that, I’ll show a makeup look created using these products! 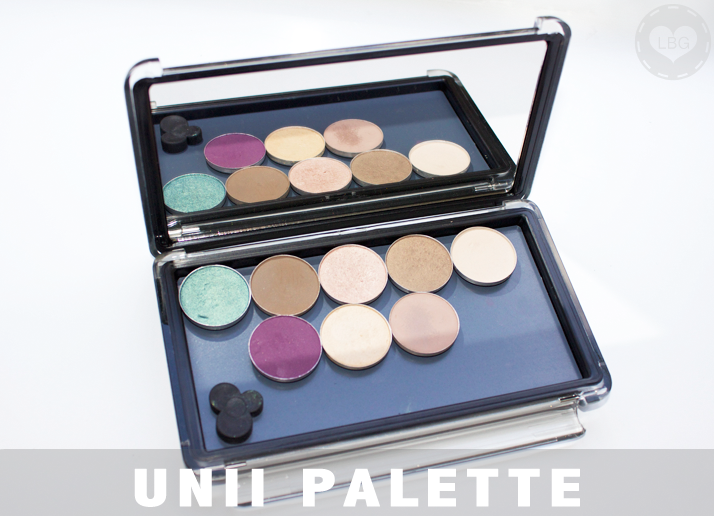 What do you think of the UNII Palette? Are you as excited about it as I am? Will you be getting one yourself? I’m certainly getting a couple more to give them as Christmas gifts to my girl friends; they’ll love it! I love the idea of their logo being a thumb grip! 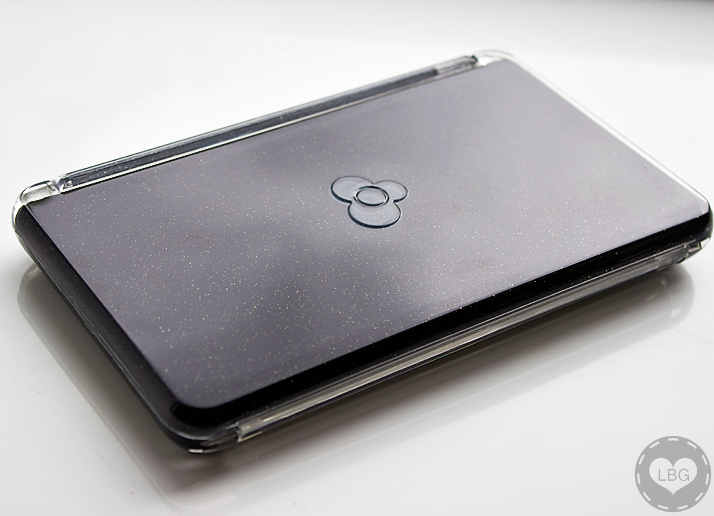 It sets them apart from the other brands that make cases like this. Great review! I love my Unii palette I use mine to store my blushers. Such a good idea. Anything fits in it! This palette sounds like a great idea!